The work is made up of three elements. 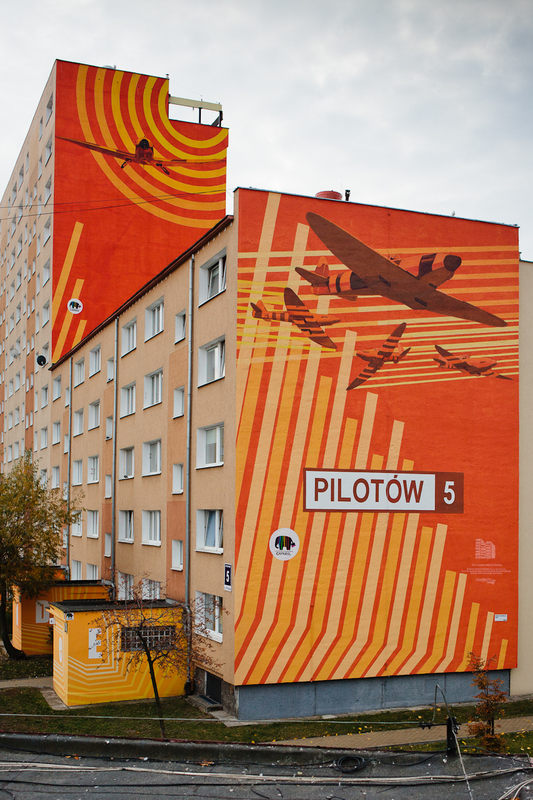 The composition of these entrances is also the first work by the Gdańsk School of the Mural in public space. In the lower section, the mural makes stylistic references to the earlier decoration of the entrances, and the whole work is crowned with a fifth Spitfire, painted a year later in the upper section, thanks to which the address (5 Pilot Street) takes on a new significance. Graduate of Gdansk Szkołu Mural. Co-author of many projects in cooperation with Rafal Roskowiński. A resident of Zaspa.